Check out our report back from the Week of Actions! Share our thunderclap on Twitter! Share our thunderclap on Facebook! Across the nation this holiday season, people are taking to the streets to demand change on issues from police brutality to Palestine. 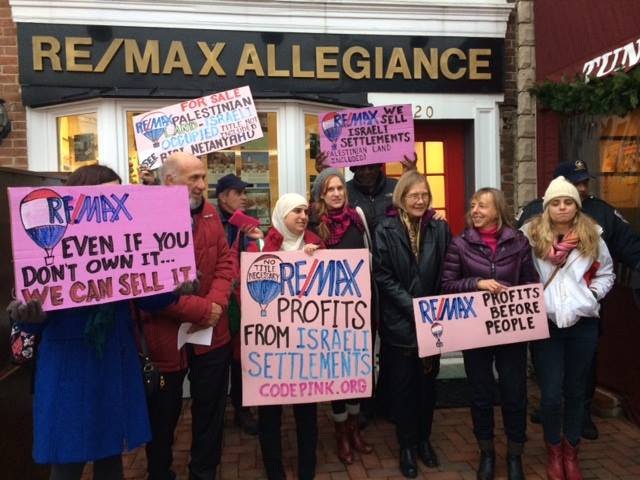 To kick off the month of December, CODEPINK and our allies came out strong to launch the new campaign, Boycott RE/MAX: No Open House on Stolen Land. From sunny of California to snowy Maine, activists held over 20 actions in cities nationwide to expose America's complicity in the Israeli occupation. Folks delivered our petition signed by people worldwide condemning RE/MAX’s sale of homes in illegal settlements in the West Bank. At our action in Washington DC, Richard Falk, former UN Special Rapporteur to the Occupied Territories, spoke on the need for a global movement targeting RE/MAX. Through our activism, he said,“REMAX will feel the costs of continuing to deal with these unlawful settlements... settlements that make a sustainable peace between these two people an impossibility.” Listen to his passionate call to action! >JOIN our holiday-themed Thunderclap to show solidarity with the West Bank. 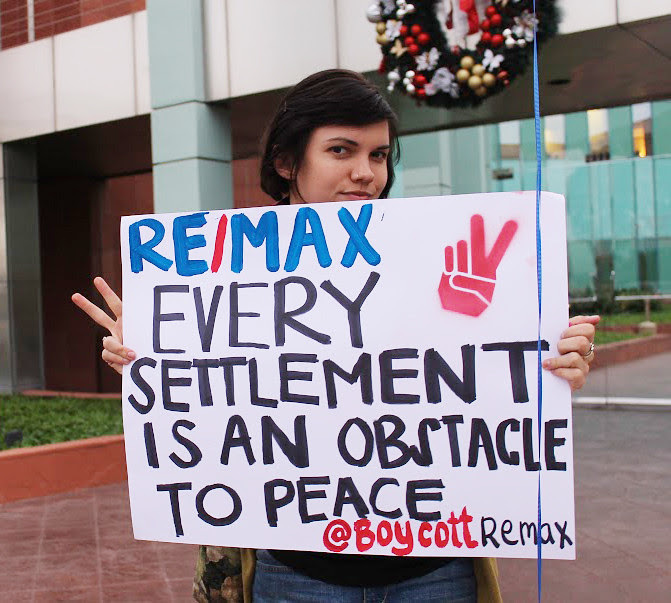 All I want for the Holidays is for RE/MAX to stop selling homes on stolen Palestinian land! Just last month the Israeli government announced another 1,000 settlements will be built in East Jerusalem–– disregarding international law and ensuring further devastation for Palestinians. We know that hope is found in action, and this holiday season action is desperately needed. Spread some hope for Palestinians this holiday season by joining the Boycott, Divestment, and Sanctions movement today with #BoycottREMAX! >JOIN our social media Thunderclap to Stop RE/MAX from selling Stolen Land!